Birth Announcement: Our Puppy Has Arrived! We are anticipating the pitter-patter of little paws once again! 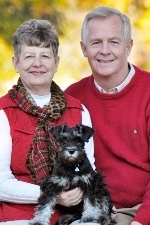 Tracker is a Black-and-Silver Miniature Schnauzer. He arrived on August 5 and is now 18 days old. 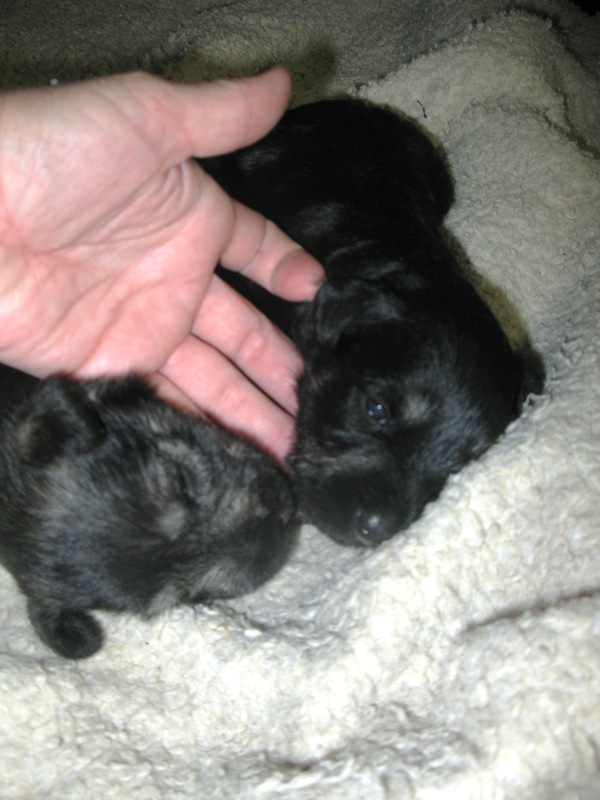 He and his brother (pictured above) are in good health and are growing well. We will be adopting him into our home and into our hearts around September 23. He may even make an appearance in our Real Estate office as early as October! Many of you know of the heartbreaking loss of our boy, Browser, which we endured in February. While we will never replace beloved Browser, we are heartened at this news of Tracker’s arrival, and we feel an immense amount of joy in the anticipation of welcoming him into our lives. Of course, we will be training him up RIGHT: from Day One, he will be learning how to sniff out great Real Estate opportunities for our client friends. Like Browser before him, Tracker will share every part of our lives in the office, as well as in our home. Come share in our joy! We do hope you will stop by to meet our new little buddy some time very soon. 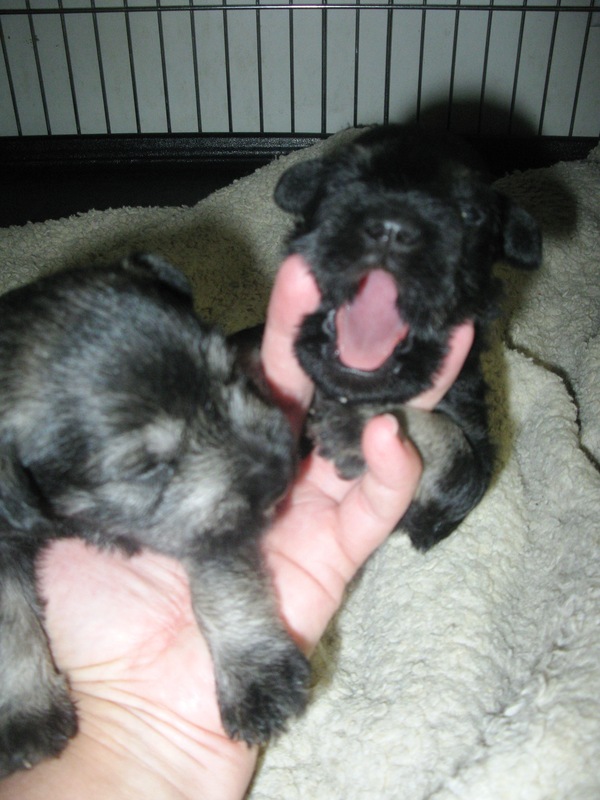 Schnauzers need lots of socialization – please help us get him acclimated. And so, we soon shall embark (pun…intended!) upon a new, yet familiar adventure. Partly in anticipation, and partly in dread, we close with this poem about raising a puppy. Enjoy! Don’t smell crotches, don’t eat plants. Don’t steal food or underpants. Don’t eat my socks, don’t grab my hair. Don’t rip the stuffing from that chair! Don’t eat those peas! Don’t touch that bush! Don’t chew my shoes. What IS that mush? Away from the cat box, it’s for the cat! And MUST you kiss me after that? Yes, raising a puppy, is not for the lazy! Though puppies are funny, they’re also quite crazy. But don’t despair, though its toil and strife. After three years, you’ll get back your life! And perhaps I’ll get back my good diamond ring! ~ by The Oetken Group on August 25, 2011.